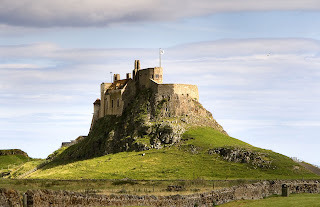 Lindisfarne is a tidal island located off the northeast coast of England. It is commonly known as Holy Island. Twice daily during high tide, Lindisfarne becomes an island. Being surrounded by the sea, it stands as a picture of solitude. However, during low tide the water recedes, and the island becomes an isthmus. The causeway attaching Lindisfarne to the mainland is exposed and becomes busy with travelers. Perhaps there is a spiritual lesson to learn from this island. Before believers connect with the busyness of the world, a time of solitude is needed. Numerous times scripture records Jesus’ practice of solitude and prayer. Luke tells us that Jesus spent an entire night on a mountainside praying before choosing His disciples. (Luke 6:12) Chapter 9 of Luke records three times Jesus withdrew to pray. If Jesus, the Son of God, needed time of solitude with God, then certainly we believers do also. Is there something wrong with your prayer track, or do you delight in your morning solitude with God? Perhaps like the psalmist you can say As the deer pants for streams of water, so my soul pants for you, O God. My soul thirsts for God, for the living God. When can I go and meet with God? (Psalm 37:1-2). Lord, cause my soul to thirst for time alone with You. Use my solitude with You to prepare me to face the world. Amen.